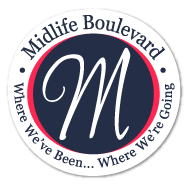 RETIRE IN STYLE BLOG: Snowbird Questions: Why Would You Ever Do That? could not wait to begin this part of our life. 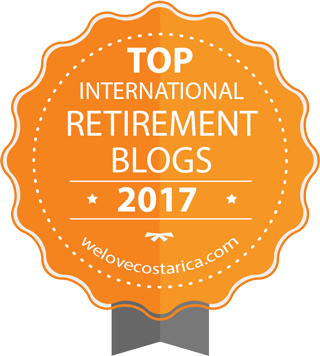 Writing about our retirement and what is has and will mean to us has raised a lot of questions with my followers. I suppose being a snowbird is puzzling to many people. How do you manage two houses? Where do you go? How long do you stay? And so it goes. There are so many choices these day for people that want to leave the cold in the winter. I want to talk about RV resort living today. Normally when people come to a RV resort like the one we live in, they will rent a park model or come in an RV. Usually they end up buying a park model. Many of the units available now are old and can be snatched up in March or April at bargain basement prices. The reason for this is that the rent for the next year will be coming due and paying the rent is costly. If people are going to sell and haven't found a buyer during the snowbird season, this is when they need to sell fast. It is a money matter. Once the plunge to buy something is taken, the new owner pays the year's rent immediately. It will probably be over $4500. That works out to a little less than $390 a month.The justification for paying rental for 12 months when we only stay 6 or 7 is one that stops people in their tracks. It does seem to those people like a waste of money. The purchase for the park model may be minimal but the rent is not. The life here in Tucson offers so many beautiful experiences. It is all relative I think. We come south because it is very good for our physical and mental health. It is not a choice in our particular case. When we weigh the cost of buying a condo or renting compared with the cost for owning a park model, it seems to be a win-win situation. If there is any extra cost in that choice, we still feel it is worth it. 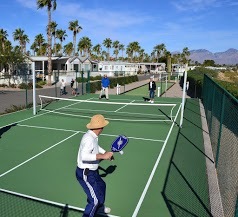 A RV resort offers a lot of amenities that condo units don't. It also offers a community of people that become very good friends. But above all, for people that are waiting, waiting, waiting, I can only say that as you age time is not on your side. Your health my suffer because you cannot be as active when the weather is bad. So...Tic Toc! Do what you can afford and enjoy life. Don't wait until the grandchildren are grown or the cat/dog dies. Don't wait for prices to fall because the likelihood of that happening are nil now. After all, if you wait too long, you will miss your chance. Pickle Ball is a hot game in our park. need more than we have. So that is what I think. Please add to the conversation if you would like. And of course, I always welcome your questions. The articles you see below are ones I have written. I think you will find more information if you check them out. You can also click on the labels below. There are so many park model parks in Arizona. How in the world did you pick one with reasonable rent?$390 isn't bad....ones we've looked at have been around $600, which are including utilities and cable. If you averaged about $390 for lot rent, would $600 be what you'd pay with all the extras? Mike, we live in Tucson Arizona and rent in a smaller park that is part of a bigger park across town. The park is call Rincon Country RV Resort East. It is a lovely park and being upgraded all the time. You can find them online. I think we are very lucky. it all sounds like a great lifestyle and I totally agree that sometimes you need to stop thinking and just jump in and see if it's worthwhile. I bet early retirement would be the ideal time to take on something like this while there is still a good cash flow and you can enjoy all the amenties. It could be. Do your homework and take it slow. The third stage of your life can be the best if you play your cards right. Every few weeks the topic comes up for us -- should be buy a condo in the south, probably someplace like Florida or the Carolinas? What keeps stopping us is not so much the cost, but the responsibility. What's happening down there while we're back home for six or eight months? Plus, we have a life where we live now. If we were gone for six months, we feel it would really disrupt our friendships and our activities. So we continue to go south for a few weeks and rent and pay exorbitant prices ... but still probably less than the cost of ownership, and without the worry. But ... I can see how if you're going to stay for six months, it makes a lot more sense. And I keep thinking, as retirees, these questions are good ones to have compared to the problems that lot of people face. Tom. You are so right. With all the turmoil going on in the world, we are SO fortunate to even think about being a snowbird! We are extremely blessed. Tom, I agree...I cannot believe that we have this wonderful life. It is amazing. As for leaving your home for the winter it is not that hard. One place goes to sleep and another wakes up. When we return, nothing as changed and our friends and family are very glad to see us. Absence makes the heart grow fonder they say. :) I might add that we live a very simple life in both places...beautiful but simple. Any obligations we have are short term and do not tie us down. Oh, and we do not worry. We buy insurance for a small price and it covers most problems that might crop up. It is all good. One more question, if you don't mind. Above the park rent, is it around $150/month extra for utilities and cable/wifi? Still trying to figure it out. Thanks. I understand how you feel. The devil is in the details isn't it? As a quick answer to all your concerns I need to tell you that you will "put your house to sleep" in the north so most of the costs you are concerned about are balanced out when you turn your furnace down at home, disconnect water and put TV, Internet on vacation with your server. Turning your water off is not always about economy but we have discovered (the hard way) water can do a lot of damage particularly if no one is checking on your house on a daily basis. Here we do not pay for water or garbage disposal. We take our Direct TV boxes with us so the cost remains the same. 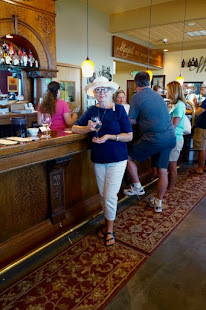 We don't disconnect in Oregon and don't pay for a separate location or any connection fees. We have antennas in both places. Our Internet service is about $70 per month but that is entirely up to you. There is free internet in the park near the office. If you require a faster speed, that is available through Cox. We use Cox. Heating and hook up for our washer and drier average out less $70. It may even be less than that. It depends on the weather. Some winters are very warm. We seldom use our air conditioner. When you leave in the spring you can disconnect your electricity if you like. There will still be a small fee but it reduced to very little. You can put your TV and Internet on snowbird vacation. They understand that sort of thing in areas like ours. Or you can have them disconnected and reconnect the next year. We decided that it was less expensive to disconnect.